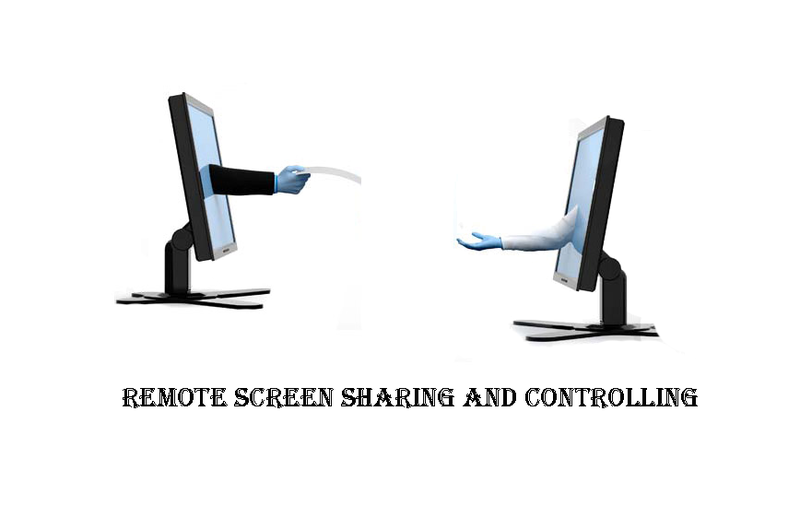 Remote sharing is nowadays on its peak, people use remote sharing to provide live support or for sharing screens. Most of us always use third party software’s for sharing or controlling remote systems using software’s like Teamviewer or Radmin etc. 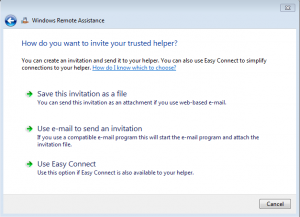 Today i am going to teach you guys how to connect any two or as many as windows PC through remote without using any third party tool like team viewer etc. So lets learn how to share screens without any third party tool. As we all knows Windows OS is full of hidden programs that are only limited to developer or geeks. Today we are going to learn about MSRA (windows remote assistance) executable. MSRA is windows inbuilt remote assistance program using which you can control remote pc’s, share remote screens, provide remote support and much more. Lets learn how to use MSRA for remote sharing. Invite someone you trust to help you : Choose this option if you want to share your screen with someone. 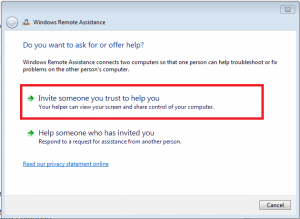 Help someone who invited you : Choose this option if you want to control someone others PC remotely. Send this invitation as file : On clicking this option you can save the invitation file and send it to anyone from which you require help. After saving the file another window will open containing the password. You have to provide that password to person whom you want to connect to your machine. Use email to send an invitation: You can send invitation directly via email but it requires email client on your machine to send email like outlook etc. Use Easy connect: Another method to directly connect two PC is using Easy connect but this require some basic settings at your routers end i.e. If the computer has IPv6 disabled or is behind a NAT router that blocks Teredo traffic, the Easy Connect option will be unavailable. 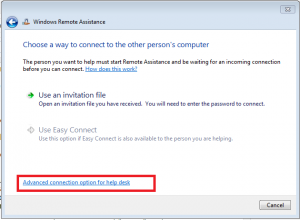 Now once you have send the remote assistance invitation file to user, he can connect to your PC by double clicking the invitation file and then entering the password. 3. Help someone who invited you : By clicking this option you can provide help to anyone who has done the above task. You will need two things : Invitation file and password to connect remote PC. Woohooo… Did you know there is another smart option by which you can directly connect to any PC using IP address? If not, well lets learn that too. 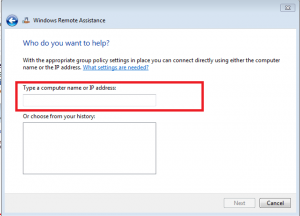 Yup we can also provide windows remote assistance support using IP address too. Here are options. 1. First of all click on startup and type command “MSRA” and press enter. 2. Now you will see screen where two options are displayed, Select “Help someone who invited you”. After entering IP address press Next to connect to IP address. That’s all. Hope you all enjoyed the learning. If you have any queries ask me in form of comments. You said about the password here. but where can i find it. Nice thread.. I love it. I have this problem when i enter the IP Address it gives me an error. Help? I’ve been looking for this for quite a long time now. Thanks for this one. it works, only into a LAN, but it works. By this, I can’t control others PC. Just can share the screen. What about Wake on Lan can it be done? Normally it works only in LAN, or in your private company, but don’t work between two different companies. 1. If you want to perform administrative task, and the session is connected in standard user. Then the screen will go pause (||). So make sure when you connect the system, it should be connected by Adminstrator on different end (Getting Support End). 4. Don’t use it in public environment, as your invitation file contains many confidential information about your PC and network. However it is not readable normally, but yes a un-ethically the file can be exploited. You can do this over a LAN network. The one providing assistance to him is for example IP Address 192.168.0.11. All 11 would have to do is enter in 10’s IP address like you would over the internet and the connection is established. Within LAN networks, your connections out to the internet go through the router anyway, so it’ll know that the connection you’re making is internal rather than external due to the specific IP Address of LAN network infrastructures. A note to the guy who posted this…this method only works in an environment which shares the same domain name or subnet…this method does not works on internet unlike teamviewer, which works every where and any where. Your information is not accurate as I provide support to my family in Brazil and I live in Japan. It works like a charm. Would the DHCP on the router affect the address within the advanced setting method, assuming this is on LAN only PC to PC. Also, across the internet connections, if you were to type in an IP address, if at that address there were multiple PCS, how would you connect to the right one, using the advanced method above? I’m assuming it would be something within the invite, correct? Great piece of information.. Thanks for sharing..
Is it need internet of both computer? Sir how can i enable remote assistance service..? dear sir ! when i click on “Invite someone you trust to help you” then it shows me that ” this computer is not set up to send invitations” nd the option given below is “Repair ” what i do to enable screen sharing??? 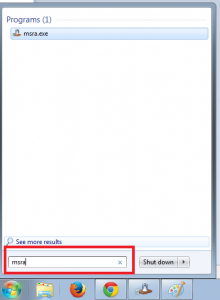 How to remotely shutdown other’s PC by using CMD? Because someone frequently hacks my WiFi password.